Total Workshop search results: 26. Displaying Page 1 of your woodworking search phrase SEA CHEST. This Namesake Toy Chest doubles as a bench seat too. Patterns for the alphabet letters included so you can personalize the chest for the special person in your life. Plans drawn FULL SIZE. The seashell has long been a popular design for carved furniture ornamentation. 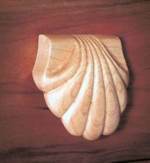 Now you can fashion shell-shaped ornaments or drawer pulls, thanks to this simple approach from woodcarver Keith Randich of Rochester, New York. A full size pattern of the shell is included, but you can resize the pattern depending on the size shell you wish to make. At this link you will find American Woodshop with Scott Philips as he walks you through the process of building a two drawer utility table. Visit their web site, then click on Season 17 and look for Episode 1713 to watch the video. At this link you will find American Woodshop with Scott Philips. In the video # 1407, he walks you through the building process of a country storage chest made from reclaimed wood and rustic hinges. Just click on then click on Season 14 and look for Episode 1407. Your boy will get a tremendous kick out of this modern transport truck, as a toy truck, and as a chest for his small toys when the day is done. The chest [can be] built of a 4x4 panel of 1/4 inch plywood, several feet of a 12 inch board and a few feet of 1x2. The rubber-tired wheels are of an easily obtained stock make. Six or ten may be used. The chest is simple to build with Pattern 1292, which shows irregularly-shaped parts in full size to trace on wood, and assembling details. Lettering for body and license plates is printed on the pattern, to cut out and paste on after finishing the wood. The plan does offer a source for rubber tires (Sears Roebuck) but since this is an old pattern, the information is most likely out of date. 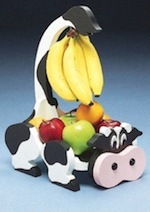 Maybe you can find another source or maybe you have toys in your home that can be re-purposed for this project. This wood storage chest is made of solid oak, is easy to make, and is a convenient way to store houseware items where space is limited. Its portability allows it to be moved from room to room with ease when needed. 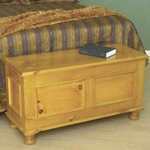 The design and beauty of the chest will compliment other furniture items wherever it is placed. Camping is more enjoyable when you have a place for everything and can keep cooking equipment clean and neat. These Camper Storage Chests are designed to keep everything you need in the least amount of storage space. When open, they provide a table area at a good height for eating, and the top is sturdy enough to hold your stove or luggage. 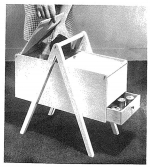 When closed, the legs slide out and the chest becomes a convenient 16 x 36 inch easy to carry and store box. Multiple uses for storing dishpans to use them as drawers and more storage during travel. 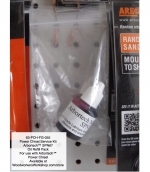 This plan provides full drawings and instructions along with materials list. There are matching Camping Seats/Folding Stools in plan number 604. This is a vintage woodworking plan. Visit our FAQ page for a full definition. View the Larger Image Slideshow to see the actual item you are buying. At this link you will find American Woodshop with Scott Philips as he walks you through the process of building a beautiful chest of drawers. Visit their web site, then click on Season 15 and look for Episode 1504 to watch the video. This is the 18th century English tool chest now in the Guildhall Museum in Rochester, England. Most interesting is that unlike other tool chests of its day, this chest and its tools are virtually unused and are in the same condition as when they were new in 1796! At this link you will find American Woodshop with Scott Philips as he walks you through the process of building a jewelry box. Visit their web site, then click on Season 17 and look for Episode 1701 to watch the video. This deck storage chest can easily be built in a weekend, features dual lids that double as seats, and goes a long way toward cleaning up the bric-a-brac on your outdoor living area. This is a link to a Google 3D SketchUp drawing for a toy chest with a seat. You will need the SketchUp software to download this drawing and its freely available online. We do not provide support for this software. Not all drawings have the measurements displayed but you can use the measurement tool in SketchUp to easily and accurately determine the dimensions of each lumber part. Most drawings do not have instructions, its assumed you can build it based on the completed drawing provided.